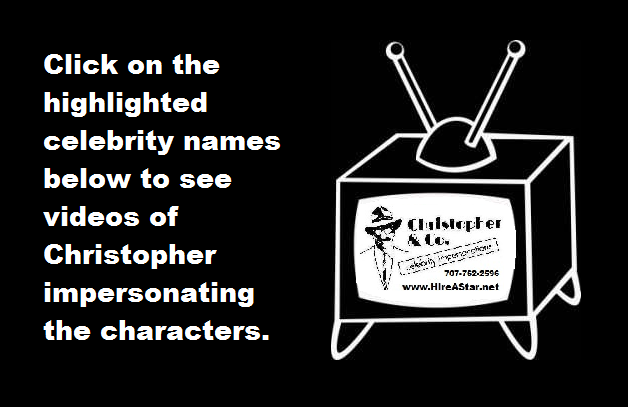 Of the over 200 celebrities I impersonate, more than 100 are offered as fully-costumed impersonations. The celebrities listed below are among my favorites. They are available for Walkaround, as Celebrity Impersonations and performing STARGRAMSM Singing Telegrams at private parties, corporate parties, banquets, and meetings, and in video presentations. You can find pictures of me as many of these characters in my Photo Gallery. 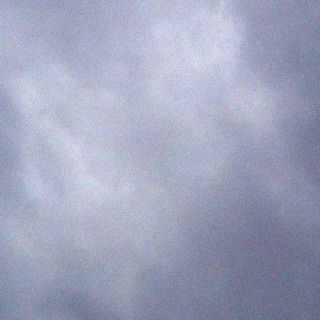 This page will most likely be perenially UNDER CONSTRUCTION as more and more video links are uploaded.